This last point can’t be emphasized enough. The Amazon algorithms actually add value to my experience. Even if they don’t accurately guess exactly what I’m seeking at that moment, the impression I get from the second I hit the homepage is that the site is tailored to me. Walmart isn’t new to digital/ecommerce. Back in 2000, Jeanne Jackson, pretty much responsible for turning around Banana Republic, left to run walmart.com out of Brisbane, CA. Although that’s 6 years after the launch of Amazon.com, I believe there’s a fundamental strategy difference here. Amazon is using my data to merchandise products to me. The Walmarts and Sears of the retail world are still relying on merchant intuition and merchant driven marketing – which is simply less relevant to the individual consumer. Below is the Walmart homepage (signed-in state): nothing here that says “Bill – we have something special for you”. “Amazing gifts” and “awesome prices” pretty much apply to anyone. Contrast this with the Amazon.com homepage. Yes – there’s a big feature on Black Friday – but there’s also an “Inspired by Your Browsing History” section – above the fold and right there waiting for me. And, of course, I’ve been looking at trail running shoes, so there’s a selection of those offered as well. Take-away: Amazon is winning by tailoring the customer shopping experience – whereas the traditional retailers (Sears.com is also shown below) – continue to push featured products and top sellers. Easy to see why Amazon’s customer experience is superior and the others are playing catch up. This entry was posted in Customer Experience on November 18, 2015 by billschildknecht. I’ll never forget the first time a client asked my team NOT to provide recommendations that could be implemented in the next year or even two. Instead, our directive was to ignore the client’s known hurdles and limitations (technology, data, budget, content, creative, organizational, etc,…) and help them paint a picture of success in the distant future. In the client’s own words: “Show me what GREAT looks like”. What a relief! As many clients love “best practices” and other tangible evidence of marketing being done better, an inordinate amount of agency time is spent cultivating deck upon deck of examples across every marketing discipline, which clients typically then use internally to influence initiatives, support business cases and justify budget requests. Having spent time in both roles (agency & client), I can certainly empathize with the need to be informed of what’s happening: ie. who’s doing it well? 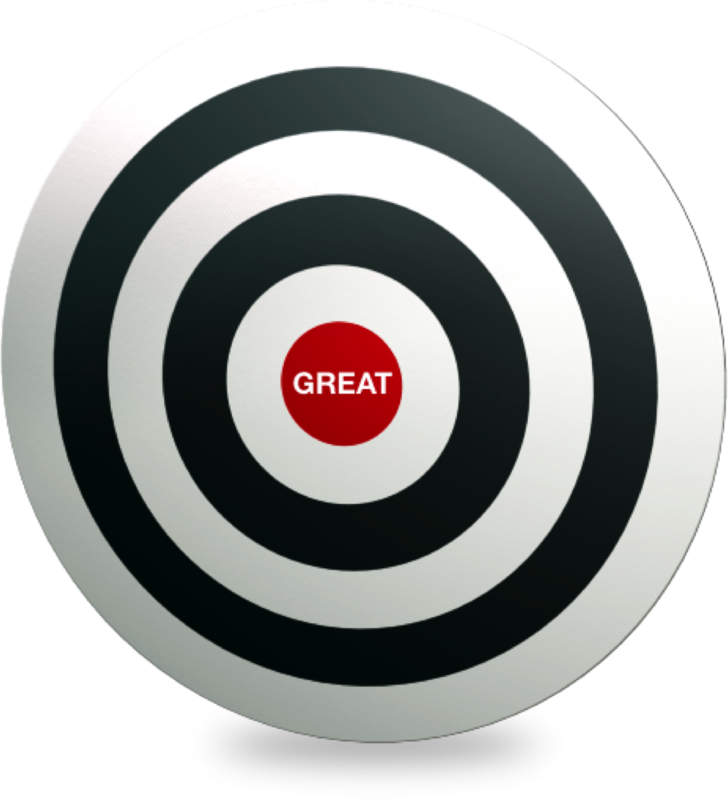 But without a vision for “great” – the best you can hope for is to emulate “good”. And good typically isn’t enough in today’s competitive landscape. Brainstorm the Future State: Invest time to bring your team together with cross functional partners to ideate. Set the stage from the very beginning: we’re looking for great…the best ever. Share the Story: Start sharing the initial vision with a broader set of partners. Invest in creative talent to bring a set of customer scenarios to life. The resulting dialog can have broad implications with both upper and lower levels of the organization. This entry was posted in Uncategorized on November 16, 2015 by billschildknecht. But as I read through the copy, addressed to “VIPeak members” – something didn’t feel right. As I read further – this is what I learned. TNF wants me to: a) go to a physical store; b) spend $125 before Thanksgiving; c) come back to a store in early December to then be rewarded with a $25 discount. Being in the SF Bay Area, it just so happens there are two TNF stores within a reasonable drive – but I hate to shop and prefer to buy online: strike one. In addition, I don’t think I’m alone in liking instant gratification, so I’m less than thrilled to have to make a second trip to a store during the holiday rush just to get my discount: strike two. The email did get me to visit thenorthface.com – but primarily to check out the benefits of being a “VIP”. There was a time, back a few years ago, that I did feel like a TNF VIP. At the huge Outdoor Retailer conference I saw Jimmy Chin and Conrad Anker speak – and got to meet Conrad briefly. For those of you who don’t know him, he’s probably one of the best mountaineers in the history of mountaineering – and I was thrilled to be able to ask him about a recent expedition in which he found the remains of George Mallory on Mt Everest. I’m not easily star-struck, but I was in awe that day. The VIPeak program is an “earn & burn” program – so every $1 spent gains you 10 points – which can be redeemed for cash back – or for access to special experiences. Unfortunately, the experiences aren’t published until a catalog is issued in March of each year – so you don’t really know what’s going to be offered – and you have to wait until mid-spring to learn what’s available. In looking through the 2013 program examples that were provided, I’d guess spending time with someone like Conrad would require at least 100k points – or $10,000 in spend. A lift ticket would require a $2,000 spend, approximately. That’s a lot of down & fleece – and strike three from my perspective. TNF provides a great example of the difference between two very different objectives: driving loyalty vs. driving frequency. 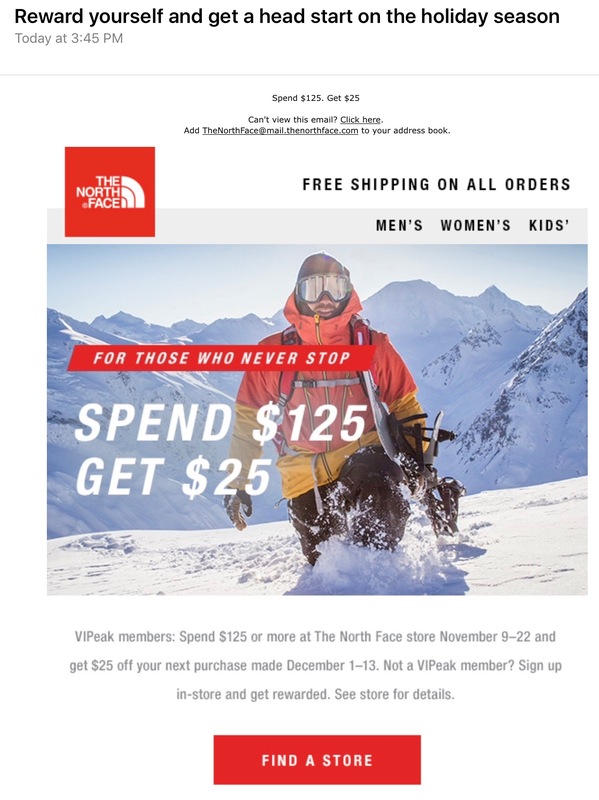 TNF doesn’t need a loyalty platform to distribute their underwhelming spend $125 get $25 offer – simple email marketing or direct mail will suffice. Frequency is much easier and less expensive to pursue. Loyalty is much harder. To this last point, I think the TNF program is also an example of the challenges presented by the use of “VIP”. As a VIPeak member, I want special VIP treatment – all year. Give me something special just for the inconvenience of driving to a physical store. Give me exclusive expedition video. Give me something for advertising the Half Dome logo all these years. TNF would benefit from taking a step back and seeing their marketing efforts from the customer perspective. The combination of offers with multiple (and unpleasant) hoops that the customer must jump through and a reward program with huge spending tiers and little in terms of day-to-day VIP treatment leads me conclude that a much larger part of the program value for TNF – the ability to identify and communicate with actual buyers of their products – is being significantly undervalued. This entry was posted in Uncategorized on November 10, 2015 by billschildknecht. People have different ways of synthesizing information. Personally, I’m a very visual person. Words just don’t do it for me – I need an image or graphical representation. In facilitating client discussions, too often I find that a dialog can extend for quite a long time – seemingly with everyone in agreement – until I sketch out on the whiteboard what I think I’ve just heard from the group. Frequently it’s only then – when a visual is up on the wall, that questions emerge and true understanding and agreement is achieved. Unfortunately, I’m a horrible artist. Graphic facilitators are my heros – creating amazing pictures – right there on the spot in front of a whole group of people. Impressive. You don’t have to convince me as to why creative talent is so valuable – I get it. But I have good news: you don’t have to be an artist to sketch customer journeys. Sure – when you’re ready to tell the customer journey story to the executive team so you can get your roadmap approved & funded – or when informing the broader organization via an internal roadshow – then it’s time to bring in the creatives. To this point, we had amazing success in animating three different customer scenarios for the C-suite of a recent client. I’m convinced that watching the experience scenarios unfold in a video was infinitely more effective than walking the group through a two dimensional map. 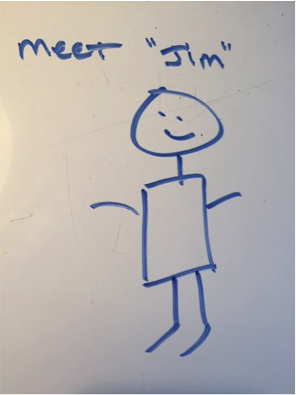 What do we know about “Jim”? What data do we have that can identify him? How can our company & products make his life better? What’s getting in Jim’s way? What are his pain points? How are we able to communicate with Jim? 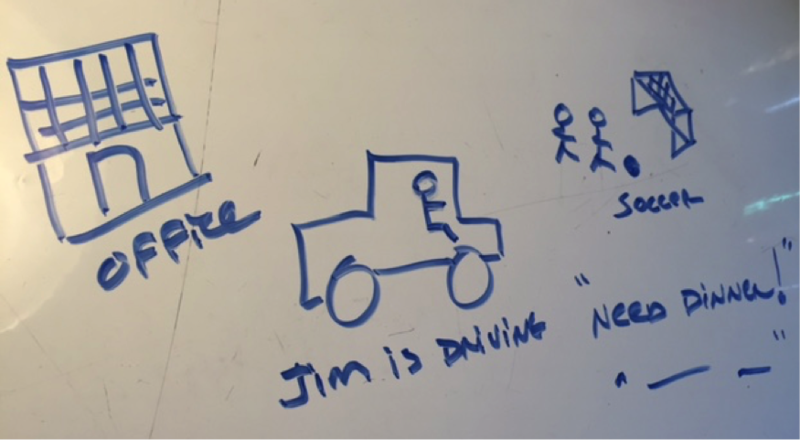 Yes – this is quick and nimble persona building – literally in a few minutes – that then allows the group to contemplate scenarios of Jim’s experience with the brand. Jim is rushing out of work to pick up the kids from soccer practice. He needs a solution for dinner. Ugly – yes. Provoking the right dialog – absolutely. As elementary and childish as the drawings may appear, the internal dialog that ensues re: the customer’s experience – is so very beautiful. By shedding the expectation for “beautiful” journeys from the start – you can efficiently get clarity and gel a broad group of stakeholders on exactly what customer experience the organization is seeking to provide. BTW – for those of you who are also sketching challenged like me, check out this “Squiggle Birds” video by Dave Gray of Xplane. This entry was posted in Uncategorized on November 5, 2015 by billschildknecht. Waking up on Monday morning to the sound of rain hitting the roof was such a welcome sound in drought stricken California. It’s been years since we’ve needed umbrellas or rain coats: what a great opportunity to market some of those products in the days leading up to the storm. Having worked with the CRM team of one of the largest building supply companies, I know that weather forecast data is readily available (now from IBM – see “IBM in deal for non-TV assets of the Weather Company“) Our challenge in the building supply scenario was to come up with suitable content. It was easy to configure snow shovels, rock salt and snow blowers for a winter storm forecast, but what is relevant for a partly cloudy day? It will be interesting to see the extent to which Nike will tailor their ads within the Weather Channel’s app (see “Nike Embraces Weather App in Campaign to Sell Gear Suited to Local Conditions“). Imagine the power of this type of marketing, combined with same-day delivery! Thinking about going for a run after work? Order a new running outfit and try it out that very evening. Now that’s the kind of utility that data & marketing could bring to consumers. This entry was posted in Uncategorized on November 4, 2015 by billschildknecht. I agree that customer value is difficult to quantify and communicate. With all due respect to Arthur M. Hughes (author of Strategic Database Marketing), lifetime customer value has never caught on in the C-suite or on Wall St. In retail, $/sq ft – and comp sales – have always been the benchmark stats. I’m sure that Whole Foods is analyzing differences in $ spend/customer based on various customer attributes & segments, but this customer view is not something that is easily communicated to the Street. Having grown up and recently spent a good deal of time in Pittsburgh, PA – I’m seeing Whole Foods battle head on with the local favorite – Giant Eagle (or “Igle” as we’d say in true Pittsburghese). Giant Eagle’s new Market District stores are huge and include a nod toward “organic” and “local”. This is likely appealing to demographics that may be starting to trend younger and more affluent, although I’d estimate that the bulk of the Pittsburgh population still skews older and low-middle income – making shopping at Shop N’ Save – where produce is sold almost exclusively in saran wrapped packaging – completely acceptable. Anyone who has visited the South Hills Village Mall in Pittsburgh will likely have seen the enormous new Whole Foods store under construction (due to open in Spring 2016) just across Route 19. But if my relatives are any indication, there’s significant education needed in the Pittsburgh market as to the quality and sourcing of Whole Foods product. Although Giant Eagle now includes product from locally sourced farms like King’s (I grew up not 5 miles from the King’s farm in Valencia, PA), the “what is organic…really?” question looms large. Customers of the Whole Foods Shadyside location, the affluent sweet spot of Pittsburgh, have likely moved beyond organic and are now inline with us Californians in embracing the locavore movement. Case in point: it wasn’t long ago that my own Pittsburgh relatives laughed at the thought of anyone paying $2 for a cup of coffee. Let my recent visit to the Canonsburg Starbucks be proof to the contrary: the morning drive thru line wraps around the entire building! My own experience points to many in Pittsburgh being skeptical of the higher prices being charged for “organic” products. Bottom line: Whole Foods has their work cut out for them in terms of educating various markets about things like the environmental impact of farm raised salmon (ie. there’s a reason sustainably raised salmon tastes better and is better for the environment – and that’s why it costs more). The optimal marketing approach for Whole Foods will require tailoring the message – in this case perhaps by market or more precise geo-targeting – ie. giving the Pittsburgh market different marketing content than what is delivered in Seattle, NY or San Francisco – in recognition of the fact that grocery buying habits – and opinions toward the value of organic farming – vary across the U.S.